"Island Time" is an Internationally Certified 63 Passenger Ferry / Excursion Vessel and has just been refit with new remanufactured main engines along with a list of other maintenance and service items. She is in excellent condition and is ready for service today and will make you money with her economical and easy to maintain 6 cylinder Detroit Diesels with remaining warranty from the recent rebuilds. The only reason for selling is that her owner has purchased another larger vessel. 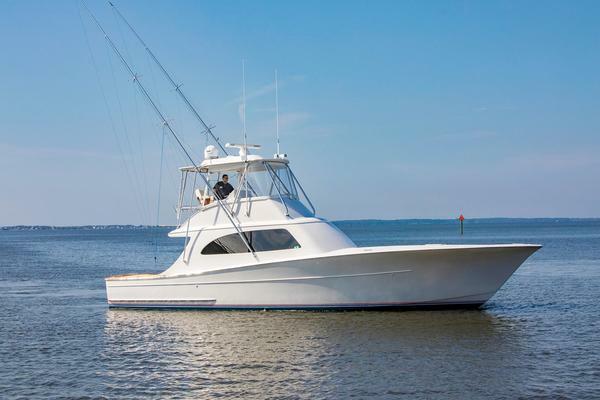 United Yacht Sales New Jersey would love to guide you through a personal showing of this 55' Custom Midship Coi 63 Passengers 2002. This yacht for sale is located in Charlotte Amalie Virgin Islands (US) and priced at $1,099,995. For a showing please contact us by filling out the form on this page and we will get back to you shortly!